The worldwide rollout of LTE is truly becoming a juggernaut. 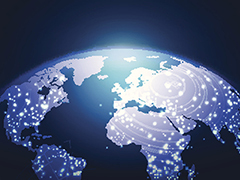 According to the GSMA, 264 LTE networks were commercially launched in 101 countries from late 2009 to early 2014, and almost as many additional networks are expected to be launched from 2015 to 2020, bringing the number of global LTE connections to 2.5 billion, or more than one-third of all mobile connections. Yet, at the same time as this implementation increases in speed, the implementation also increases in complexity, as a number technology and business challenges have to be addressed. On the technology end, mobile operators have to install new equipment and adapt existing infrastructure to new standards. On the business end, operators must determine new pricing structures and reconfigure business partner relationships for roaming. As a result, the next phase of LTE growth will depend on how well operators are able to formulate a strategy to tackle these complexities smoothly. I recently had an opportunity to shed light on some of these challenges in an article published in the official publication of the Competitive Carriers Association – CCA Voice. In the article, “Three Factors Critical to LTE Rollout,” I highlight how roaming interoperability, IPX and VoLTE are playing three vital parts in LTE implementation. I invite you to take a look at the article and find out how the mobile industry stands to benefit by placing a strong focus on these three areas. And if you have any thoughts or questions on LTE rollout, I invite you to share them in the comments section below. John Wick serves as Senior Vice President and General Manager, Connectivity and Mobility Services, and is responsible for the management and growth of Syniverse's next-generation networks, messaging, and policy and charging lines of business, as well as for the product and software development across these lines of business. John joined Syniverse in 1993, and over his tenure he has held a number of management positions in the operations, research and development, technology, business development, and product management groups. Prior to joining Syniverse, he was a systems integrator with Verizon and, earlier, an electronic communications and switching systems technician for the U.S. Air Force, for which he was stationed in Wiesbaden, Germany, and San Antonio, Texas. John earned both bachelor's and master's degrees in business from Nova Southeastern University. He also holds an associate's degree in electronic engineering technology from the Community College of the Air Force, and he is a certified Six Sigma Black Belt.